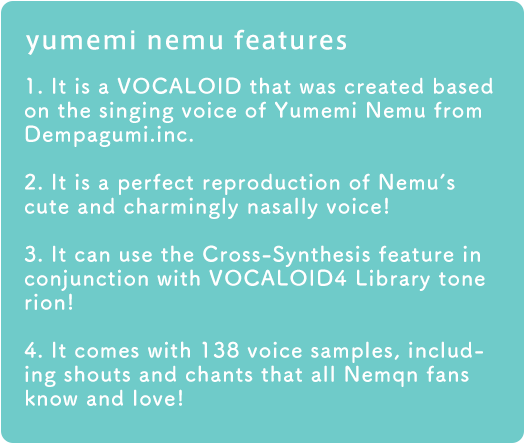 Yumemi Nemu of Dempagumi.inc is now VOCALOID! 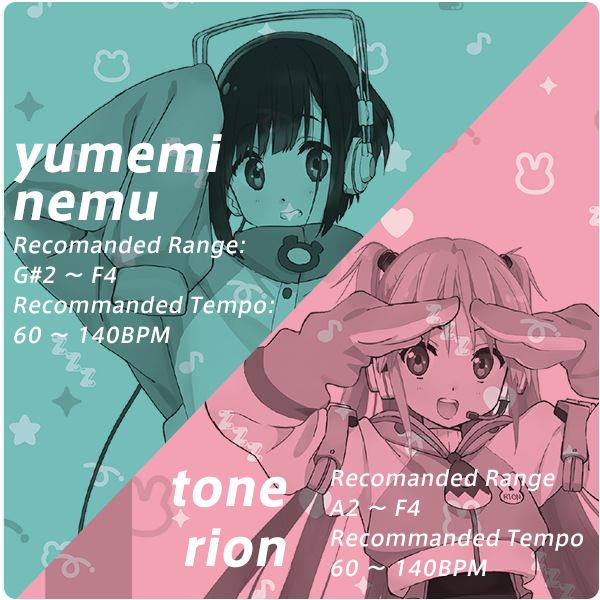 VOCALOID4 Library yumemi nemu and tone rion debut! 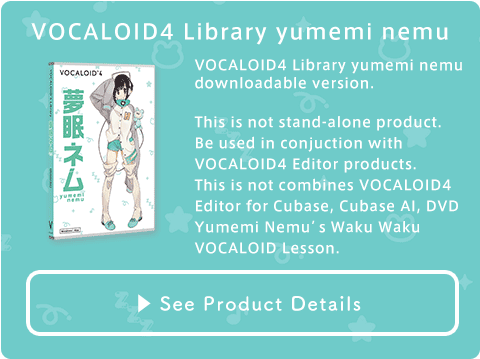 VOCALOID4 Library yumemi nemu is now on sale! 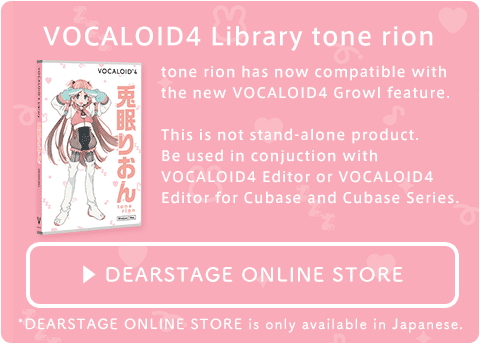 Moreover, VOCALOID tone rion is being reborn as a VOCALOID4 Voice Bank! 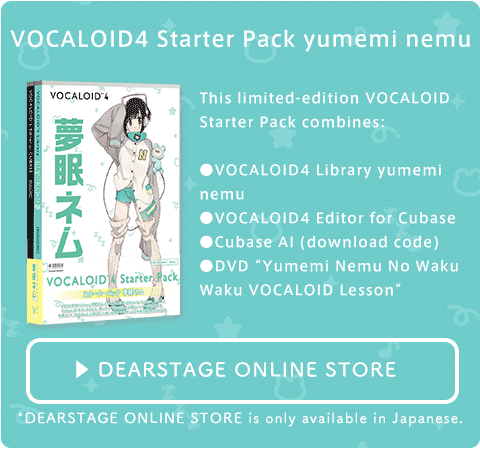 VOCALOID4 Library yumemi nemu, which is based on the voice of Yumemi Nemu of the popular idol group Dempagumi.inc, has been announced! 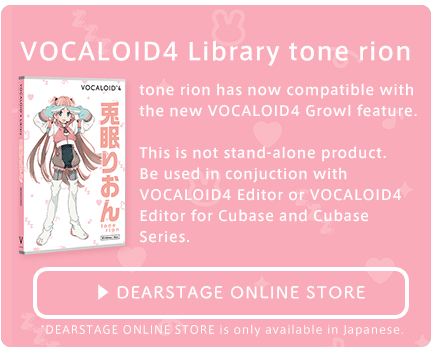 Moreover, a new VOCALOID4 version of the VOCALOID3 Library, tone rion, also go on sale. The artwork for VOCALOID4 yumemi nemu and VOCALOID4 tone rion is being done by popular artist Yukiko Horiguchi. The packaged versions will be available at the official Dear Stage Online Store. 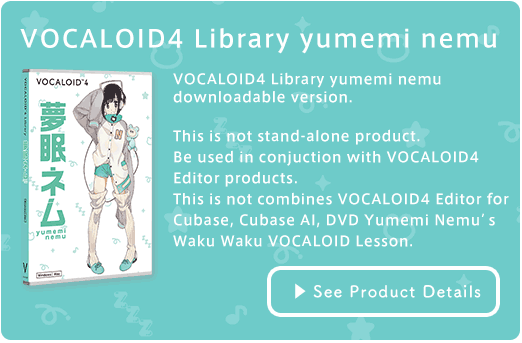 The downloadable versions will be available at the VOCALOID SHOP. Official Demonstration Song "Anone...Jitsuwa watashi Yumemi Nemu nanda... "
The difference between yumemi nemu and tone rion. 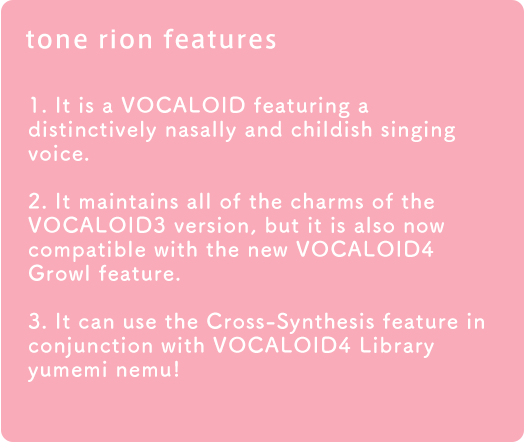 yumemi nemu and tone rion are made from Yumemi Nemu's voice. 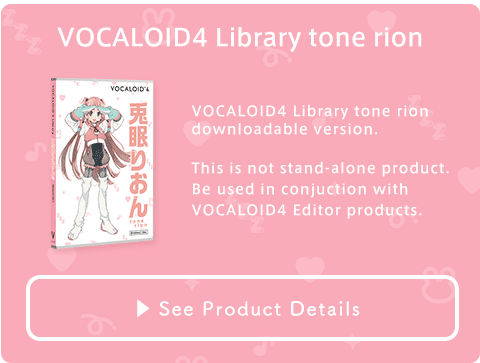 tone rion has a nasally, childlike voice. yumemi nemu is a little more grown-up voice than tone rion. Yumemi Nemu explained the difference of yumemi nemu and tone rion at her official blog. Check it! * Cubase AI 9 supports 64-bit versions only. 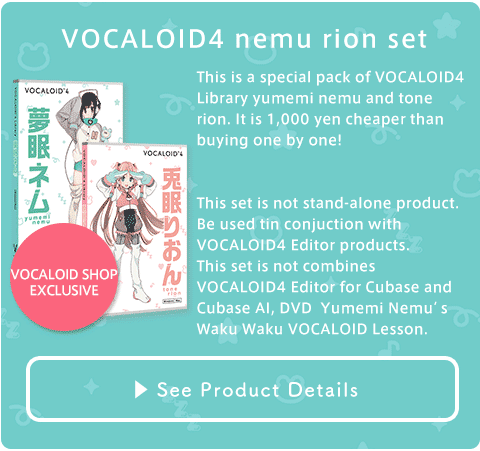 * VOCALOID4 Library yumemi nemu and VOCALOID4 Library tone rion are not stand-alone products. 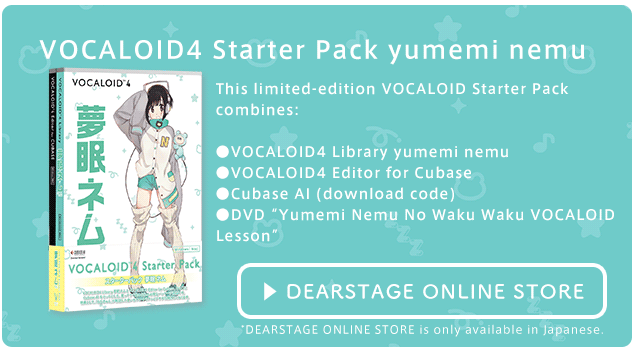 They are meant to be used in conjunction with VOCALOID4 editing products, such as the VOCALOID4 Editor or the VOCALOID4 Editor for Cubase. They are not compatible with any older versions of these editing products. 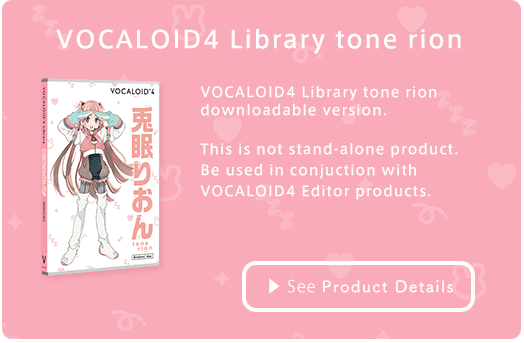 * With the release of the VOCALOID4 Library tone rion on February 16, 2017, the older VOCALOID3 version will no longer be on sale.